Spanish house Angel Schlesser will launch Angel Schlesser Pour Elle Sensuelle later this month. The new fragrance for women is a flanker to 2014's Angel Schlesser Pour Elle. Like the original Angel Schlesser Pour Elle, Pour Elle Sensuelle was developed by perfumer Amandine Marie. Notes for the woody floral include bergamot, spicy red berries, peach, white flowers, lily, jasmine, orange blossom, cedar, patchouli, cypriol, tonka bean and leather. 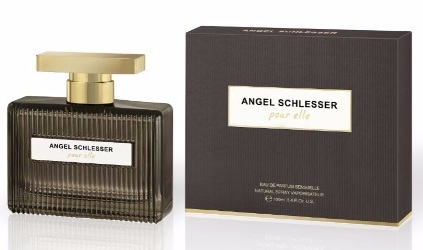 Angel Schlesser Pour Elle Sensuelle will be available in 100 ml Eau de Parfum.